To find the best personal injury lawyer for your case, you have to find the best personal injury attorney for you. That means that the lawyer has to have a lot of experience with your kind of case, knowledge of the law, and many other qualifications. However, by that same token, they also have to be a lawyer that works great with you. You have to be comfortable with them, work well with them, and generally feel that they “get” your case. That’s one of the many reasons that we offer free consultations here at the LA Injury Group: so that you can come in and see if our team of lawyers is right for you. Another trait of the best personal injury lawyer is one that takes an interest in you. Too many lawyers in this city only see each client as the next potential paycheck. They don’t really work with the client, they work for the client, and even then, it’s only about getting some kind of compensation. We make sure that you get the compensation you deserve for everything that you’ve been through. You want a lawyer who fights for you, not just a lawyer who fights to make a few extra bucks. In fact, one tactic we see other law firms do often is that they’ll take the first settlement that’s offered to them. Sure, they may tell their clients that “we did everything we could” and “this was the best settlement and it was what your claim was worth.” But, they know that’s not the case. They just took the first settlement that was offered so that they could clear the case and get the check. They didn’t take into account if that’s what the claim was really worth, or if it was what the client needed – instead they just took the money, cashed out, and called it a day. That will never happen with our team of attorneys. When the other side makes an offer, we’ll let you know. Maybe the first offer they make will be a great one, but we sure won’t take it until we speak to you. Beyond that, we’ve had so many years of experience with personal injury cases. We know what great settlements look like. From having done this for so long, we have a crystal clear idea of what a claim is worth. So, we won’t settle for less than that. We’ll fight the whole case through to make sure that you get all of the compensation you need for your claim and your life moving forward. The most important part of a personal injury case is your health. That’s what’s important to you, your family and the people who care about you in life. If you aren’t in your best possible health, then nothing will be right. We check in on you to make sure that you’re OK, that you’re improving and getting better. There’s nothing more satisfying than seeing a client rebound from an accident, see their health improve, and then see them get the compensation they and their family deserve for everything that they’ve been through. One thing our lawyers always point out to clients is to do everything the doctor says. On top of that, be sure to be as honest with the doctor as possible. When you’ve just been injured, whether it was through an accident or some other way, you probably aren’t going to be yourself. You may feel out of it, discombobulated, vulnerable, and a million other negative things. That’s perfectly understandable, natural, and normal. After all, you’ve just been injured! No one’s ever really prepared for that. Maybe ten years ago or so you hurt your back in a fall. After some debate, you don’t tell the doctor about it now, figuring it can hurt your claim. You start to recover, you file a claim, everything seems like it’s going as well as can be – but then, the insurance company’s investigators start looking into your past. Remember, insurance companies essentially have resources that can best be described as “endless.” They can afford to spend as much as they want to combat your claim. So, their crack team of investigators discovers your back injury. That can damage your case significantly. See, the insurance company can now say that your back injury wasn’t that bad, in fact it was hurting before from the prior accident. Thus, the car accident didn’t really do much to your back. So, the insurance company doesn’t think you deserve any compensation. Of course, all of that will be bunk – you were hurt in the accident, and your back did fully heal. However, you opened yourself up to this scenario by not telling the whole truth in the first place. Telling the truth from the go is one of the best things you can do for your case. The best personal injury lawyer is also one that doesn’t make you pay up front. As weird as it may sound now, some still exist. We only get paid when you do. So, we don’t get paid for our work until you get a settlement and compensation. Then, we take our money out of that. Thus, if you don’t get paid, well, you can put the rest together. You can always think of us on your side because we’re in this together. We want you to succeed and will do everything in our power to make sure that happens. 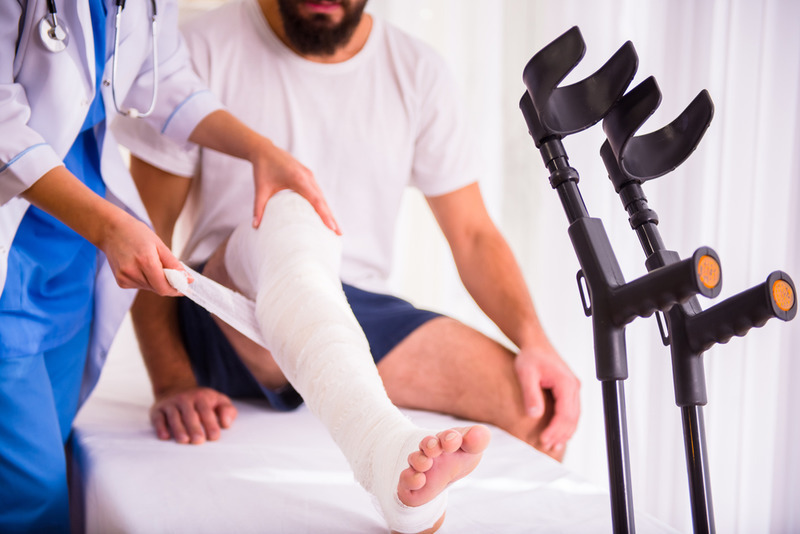 One thing we have noticed is that not everyone understands everything that comes under the heading of “personal injury.” For example, most people think that “personal injury” only involves like, a car accident, or someone falling down the slippery stairs at work. However, it can include so much more than that. It could be a medical malpractice claim. Maybe your doctor didn’t follow the right protocols in helping you, and left you worse off as a result. That’s certainly a personal injury. Furthermore, it could be an injury that comes from a defective product. Perhaps you bought something, used it as it was intended, and then it hurt you on account of its own defectiveness. Those are the kinds of cases we can help with. The best personal injury lawyer firm is one that can help a wide variety of personal injury cases. For example, there might be a million firms in Southern California that specialize in “car accidents.” But, that might be all that they do, and all that their attorneys are familiar with. By that same token, there are many firms that say they do “accidents,” and then when you hire them to take your motorcycle accident case, you find that only have ever done “car accidents” before. So, your motorcycle accident case will be handled by someone with no experience in this kind of case. That won’t happen at the LA Injury Group. We have attorneys with all kinds of specialties to take your case when you head to our website or call (818) 210-4558.